12 idols recommend their favorite spring songs! 'Dispatch' asked 12 idol groups and/or their members what song they would recommend for the arrival of spring! The idols' recommendations ranged from children's nursery songs to genres of all types. You'll definitely be able to recognize some famous spring hits, so check out the full list below! 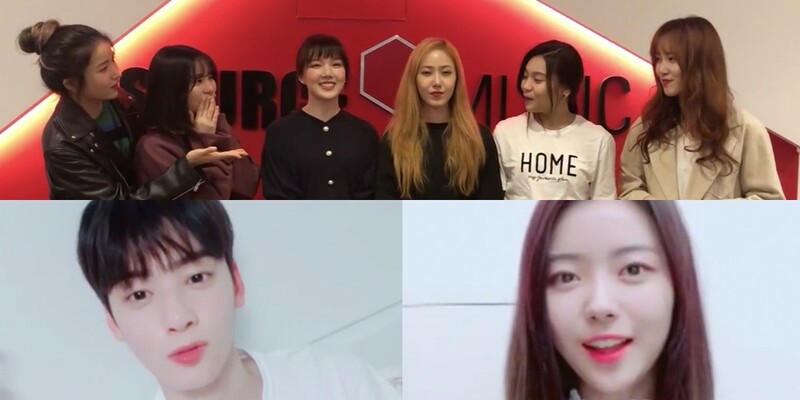 NU'EST W's Ren: Children's nursery song, "KkoKkaShin"
PRISTIN's Lim Na Young: Bolbbalgan4's "Tell Me You Love Me"
Eric Nam: Eric Nam x Wendy's "Spring Love", Eric Nam x Jeon So Mi's "Yoo, Who? ", and "Honestly"
Seventeen's DK: John Park's "Thought of You"
Momoland's Nancy and Taeha: Roy Kim's "Bom Bom Bom"
Samuel Kim: Charlie Puth's "Attention"
Oh My Girl: Hyojung's "Sarr", 10cm's "What The Spring?" G-Friend: Yerin, Cao Lu, & Kisum's "Spring Again", Yuju x LOCO's "Spring is Gone By Chance"
The Boyz: Busker Busker's "Cherry Blossom Ending"
SF9's Rowoon: Soran's "Cherry Blossoms Fall"
ASTRO's Cha Eun Woo: Standing Egg's "Little Star"
What do you think of these idols' selections for the spring season? Do you have a go-to song for spring?